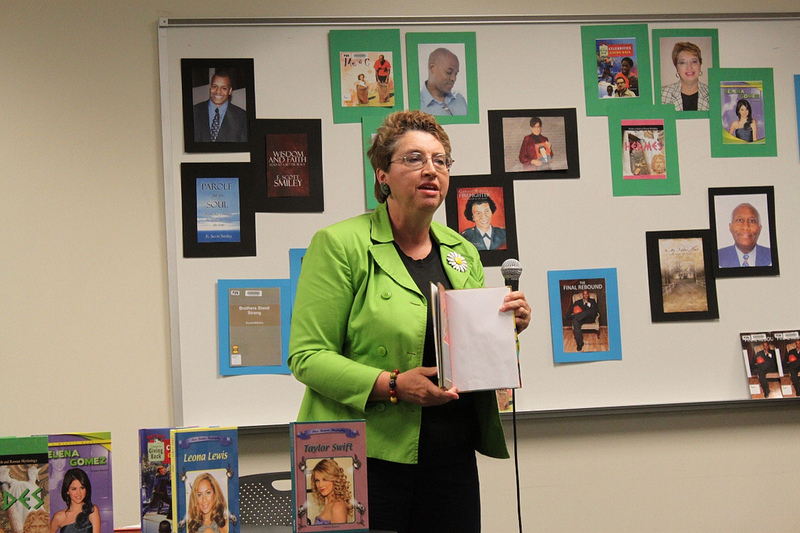 Recently I took part in an author’s fair at the Pontiac branch of the Allen County Public Library. It was hosted by Librarian Benita Browning and was a lovely event. A variety of authors with genres from street lit to children’s poetry, memoirs and picture books discussed their books. It was interesting to learn about the different authors in our area. When it was my turn, I talked about the challenge and joy of writing books that children will want to read, holding each of my books on Taylor Swift, Selena Gomez, Leona Lewis; 3 Greek gods, Celebrities Giving Back, Recipe and Craft Guide to Indonesia at different times. Some of the authors present were John Dortsch with his book In My Father’s House These Were the Rules. The book discusses the guidelines his own father used to raise his 11 children. Mr Dortsch, a former educator in Fort Wayne, has sold 7,000 copies by traveling around the country with his message about the importance of living well. Carol Butler was another author at the fair with her book, Genois Wilson, Fort Wayne’s First Female Firefighter. What made the night special to Ms. Butler was Genois Wilson’s presence at the author fair! This is a neat tribute to Fort Wayne’s firefighting history and it is beautifully illustrated. Both Wilson and Butler are pictured in the group photo. 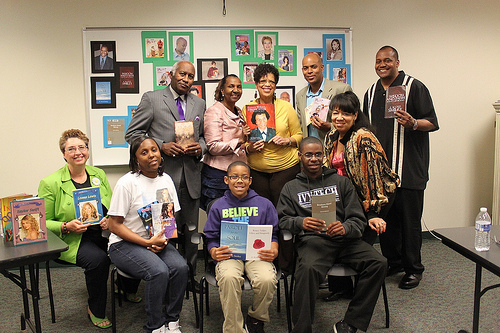 Authors who presented books at Pontiac library’s author fair in April 2013. JJ – I didn’t catch his last name, John Foster, Saundra Jones, Daniel Williams, Efrain Scott Smiley III also presented their books. She plans to conduct another author fair in the fall and would like to see it grow. If you’re interested in contributing to her fair, please contact her at the Pontiac library branch. Are You Bold Enough to Reach Out for God? Yes! I hope you can try to attend!